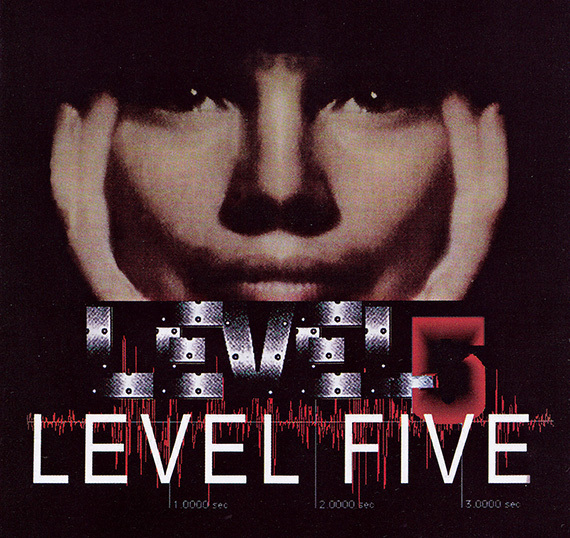 In February 1997, Level Five was selected to represent France at the Berlin Festival, a few days before it premiered in French theaters. Its critical success was practically unanimous. Yet for the public, it was a flop. A single reason seems to have caused its failure: visual minimalism. Level Five tells the story of Laura, a woman who must finish off a video-game on the Battle of Okinawa, following the death of its creator, who was the man she loved. A dual story of mourning and memory thus become intertwined. To tell them, Chris Marker chooses simplicity1. Level Five, made with very little means, was filmed by two people. Laura, played by Catherine Belkhodja, is the film’s only protagonist, an exception in the history of cinema. Marker’s love-muse2 plays a role. She is not the privileged witness or narrator of a historical reenactment. In this sense, we are indeed in a fictional world, which is incidentally not the director’s preferred realm. The only fictional stories in his repertoire are the shorts La Jetée (1962) and L’Ambassade (1973). In addition to the portion of the film that is dedicated to Laura’s story, Marker adds a part on the Battle of Okinawa in the purest documentary style, which mixes images from archives and personal accounts, and is far from minimalist. The video game is the link between the two. We could speak here of “documented fiction,” as documentary seems to be used as the basis for Laura’s story. If critics went to the trouble of delving into the film, it seemed that viewers were turned off by the part that was devoted to the heroine. In effect, Marker and Belkhodja chose to tell the story in the form of a video journal, like we can do today with a webcam. Laura is only filmed close-up, at a slightly high angle, in the same individual confined space of a tight apartment, between a desk, a computer and a shelf, with just one exception6. It is thus difficult for the viewer, who is used to the camera’s increasingly present movements and the growing trend of editing films, to follow the storyline and identify with the only character, who is only counterbalanced by the director’s voiceover. Yet that’s the opposite effect of what Marker wanted. In a fictitious interview with Dolorès Walfisch, which was written from scratch for the press packet, Marker explains his intention: “as I imagine it is easier for the viewer to see himself in Laura’s suffering than in that of a man who killed his entire family, I’m counting on this recognition to enable viewers to attain the level of compassion that Laura herself achieves by delving into the tragedy of Okinawa.” The film’s failure with the public hinges on this detail: it was too difficult to identify, not because of Catherine Belkhodja’s acting, since it would be difficult to reproach her for anything, given the tough task she was assigned, but due to an aesthetic bias – that it was unglamorous, cold, and far too bare. Level Five falls within an important period of transition for humanity: the digital era, in which Marker saw prodigious possibilities, along with terrifying dangers, and which subsequently became one of the main subjects of his research. Everything began in the late 1970s when Marker turned away from the collective cinema he had introduced in 1967 with the creation of the SLON and the making of Far from Vietnam [Loin du Vietnam], Information technology, then in its infancy, drew him in like a lover with all of its related promises. Marker was no longer just a filmmaker. He is a filmmaker, video maker, artist, programmer, computer engineer, photographer, etc., dividing his life between the real and the virtual. This was how in 1978 he came to make his first video installation. Quand Le siècle a pris forme: guerre et revolution [Mhen the Century Took Shape: Mar and Revolution], at the same time as the 1900-1933 Paris-Berlin Exposition held at the Georges Pompidou Center in Paris. It was a montage of period film sequences which had been carefully selected from cinematographic archives, and processed using information technology. The final short was projected onto several screens more or less simultaneously. Through this project. Marker was already trying to modify images, something he would describe nearly four years later in Sans Soleil, a film-balance sheet which marks a turning point in his work. “My friend Hayao Yamaneko found a solution: if the images of the present don’t change, change the images of the past… He showed me the fights from the Sixties processed by his synthesizer. Images that lied less, he said with the conviction of fanatics like the ones you see on television. At least they present themselves as what they are, images, not the transportable and compact form of a reality that is already inaccessible.”7 Yet Hayao Yamaneko was none other than Chris Marker, just like Sandor Krasna, the film’s protagonist or Michel Krasna, his “brother,” in charge of the “electroacoustical soundtrack.” All of Marker’s future installations, from Zapping Zone (1990-1994) to Owls at Noon Prelude: The Hollou Men (2005), not to mention Silent Movie (1995) or Immemory (1997: CD-ROM and installation)8, directly process the image, the content, just as much as the container, because the digital era is definitively one of entirely azimuth information, which is conveyed by the image first and foremost. Nevertheless, images never say what they are, but always claim to be what they are not. Image is a fiction, a future recreation of a present moment which was real, but which is no longer nor will it ever be, and this is due to the mere fact of its differed interpretation, its semantic position (be it a film, a book, an exposition…), which is guided by our own cultural baggage and our experiences. Yet, in our modern society, image is the main element of our memory. Due to its concentration of information, its rapidity for reading, its facility for circulation, it is privileged above all other forms of transmission (writing, language, etc.). The main element does not mean the best element, but the one that is most used, because it is the easiest, the most immediate. Within this framework, the video game is presented as a metaphor for documentary film. In one of his first films. Lettre de Sibérie, Marker had already proposed three different commentaries for a single sequence, just like an exercise in the style of Queneau. All three could be valid, yet ultimately none were. In Level Five, he questions the viewer about images, and their accompanying truth. To do so, he takes three examples, which Laurent Roth describes as follows: “there is this Japanese newsreel where the women of Okinawa are rushing around the top of a cliff. One of them hesitates, yet sees she is being filmed and jumps… There is this American sergeant, decorated as a war hero for having planted the star-spangled banner on Okinawan soil during a staging and under the lens of photographers. He’d been forbidden from revealing the deception, became crazy, committed suicide… There is lastly this death by fire which we find in all cuts on the conflicts in the Pacific. In a drop from the shot (not used in the cut,)Laura shows us that death reveals itself, preferring to live off-camera rather than die sacrificed in the shot…”9. Marker says nothing but this: that a documentary film is a montage of images which from the time they are taken to their assembly retranscribe a multitude of truths, but never reality. That is moreover why he always refused the term cinema-reality for his film The Lovely Month of May, preferring that of “direct cinema,” invented by Mario Ruspoli. Once people understood that, they could move on to memory and its inscription. Yet in I960, in America as Seen by a Frenchman, François Reichenbach was already emphasizing this strange attitude of modern man.10 “In each American, the commentary said, there is a photographer. And in each photographer, there is always a tourist. If you meet one, don’t be surprised if you see them running through the world without looking. Their roll of film is their memory. Once they’ve returned, to their armchair, the album on their lap, they’ll relax, start loving the world, they’ll begin to travel.” Marker too had photos for memory. In Sans Soleil, he noted: “Lost at the edge of the world, on my island of Sal, accompanied by my entirely pretentious dogs, I remember that January in Tokyo, or rather I remember the images I filmed that lanuary in Tokyo. They have now taken the place of my memory; they are my memory. I ask myself how people who don’t film, who don’t take pictures, who don’t make tapes remember, what humanity did to remember…” Yet once the film debuted he asked himself another question. “He wrote to me: “I would have spent my life questioning the function of memory, which is not the opposite of forgetting, but rather its reverse. We don’t remember, we rewrite memory like we rewrite history. How do we remember thirst? How do we remember? What do we really remember? What is memory? And the game of associations begins. Her first name evokes that of the heroine of an eponymous film by Otto Preminger, made in the midst of World War II, which was as resounding a success as the melody that accompanied it: Laura (1943). It is not by chance that Marker inserted this film into Level Five. In addition to the desired resemblance between the two Lauras, memory is also in question. Laura-Belkhodja remembers having seen this film with the person she loved, in iapan. And moreover, her first name is actually not Laura; it was him, from that day forward, that gave her that “first name.” She remembers that. And then she remembers the topic of the film, but less clearly. The history of the origin of this topic is still in her memory but the notes, the words, are not. Laura needs to take the sheet music back out in order to be able to hum along and regain a semblance of times lost. It’s here that the video game intervenes and takes on its full meaning. Of course in Sans Soleil, Yamaneko-Marker says that “electronic matter is the only thing that can process feeling, memory and imagination.” Yet there is one fact that is way more important: the computer does not forget, especially since it has no humor. Also, once Laura tries to ask it foolish questions, the answer is always the same – cold and biting. The evidence: to get good answers, you need to ask good questions. The difficulty: to get good answers, you need to ask good questions. Therein lies the entire principle of this game and for Laura, the impossible task, because this video game does not, like the majority of video games, aim to reinvent, to rewrite History, arriving at new aims, but to strictly and correctly rewrite the true history of the Battle of Okinawa. Hence the levels. Level Five is ultimately not Laura’s story. It is firstly the untold history of a massacre, and above all a reflection on Human History. The massacre is one of the most important of the 20th century. Marker provides clues in his press packet. The debut of an American CD-ROM on World War II is one of the film’s points of departure. It concluded, in speaking of the Battle of Okinawa, that there were approximately 100,000 deaths, including numerous civilians, which Marker emphasizes is doubly false. There were indeed 100,000 Japanese soldiers killed, but in addition 12,000 American soldiers, and above all 150,000 Okinawan civilians, that is, a third of the island’s population, the majority of whom committed suicide. And therein lies the drama. Yet this battle was the source of an even bigger drama, since its result led to the Americans dropping the atomic bombs on Hiroshima and Nagasaki on August 6 and 9, 1945. Yet not only do Americans make no mention of these Okinawan civilian deaths; even the Japanese keep this fact completely silent. It is a silence which Marker finds shameful, because it ends up eradicating the event from the collective memory. It is for this reason that he decided to highlight it in his film. And to do so, he did not make a fictional film retracing the battle, but went out to look for direct witnesses, who participated in the collective suicides, or indirect ones, who were trying not to forget, and to pay homage to the victims. Human History and collective memory are ultimately not very different from history and individual memory. They are incomplete, due to the inevitable succession of events, to forgetting, whether voluntary or not, to the multiplicity of entries and points of view. In order to really portray that, at the same time as he was making Level Five, Marker created a CD-ROM which is nothing less than his autobiography, entitled Immemory. Just as the video game has several possible points of entry for arriving at gradually reconstituting the actual Battle of Okinawa, a reader of Immemory has several points of entry for discovering Marker’s life – except for one thing: the data entered into the CD-ROM is mainly the pure invention of the author. That’s the lesson to be drawn from Level Five. In order to reach Level Five, all of the correct data must be entered into the machine. But that’s impossible. So Level Five is unattainable! Nevertheless, it remains the level to achieve to be able to better envision the future – our future. This choice was as much a personal desire as a budgetary constraint. During this period she was Marker’s muse. We find her in L’Héritage de La chouette (1989) or The Last BoLshevik (1993), in the video clip Getting away with it (1989), the haiku video Owls gets in your eyes (1994) or even in the Zapping Zone (1990-1994/Zone TV) and Silent Movie (1995) installations. Two films by Nagisa Oshima are listed in the credits: The Sunken Tomb (Ikiteru umi no bohyô) from 1970, which literally translates to “The tomb of the living sea,” and The Dead are Always Young (Shisha wa itsudemo wakai) from 1977. Chris Marker, “I never ask myself if, why, how…” (interview by Dean-Michel Frodon), Le Monde, February 20, 1997, p. 31. In fact, we find images of Okinawa as early as in Sans Soleil (1982). This is Getting away with it (1989) by the group Electronic, produced by Michael H. Shamberg. In La Jetée too, there was an exception to this genre. Comprised of photographs, the film only contained one filmed sequence. 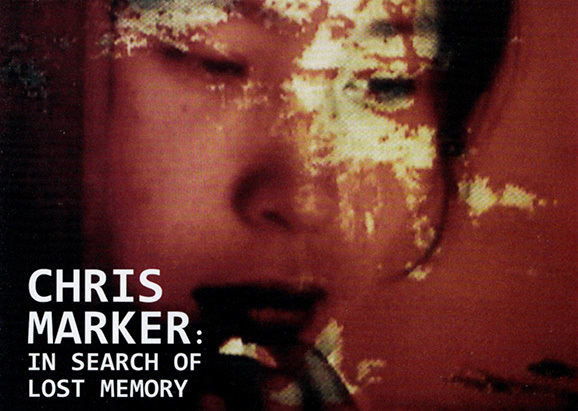 Consequently, in all of his photographic work, Marker would process the images by blurring them or adding in effects, even with his previous series, such as Coréennes (1959) which he reedited in 1989, in Korean, and again exhibited in Arles, in its blurred version, 2011. The same is true for the series of photographs he did from that from that point forward. Laurent Roth, “LeveL Five, un film de Chris Marker. 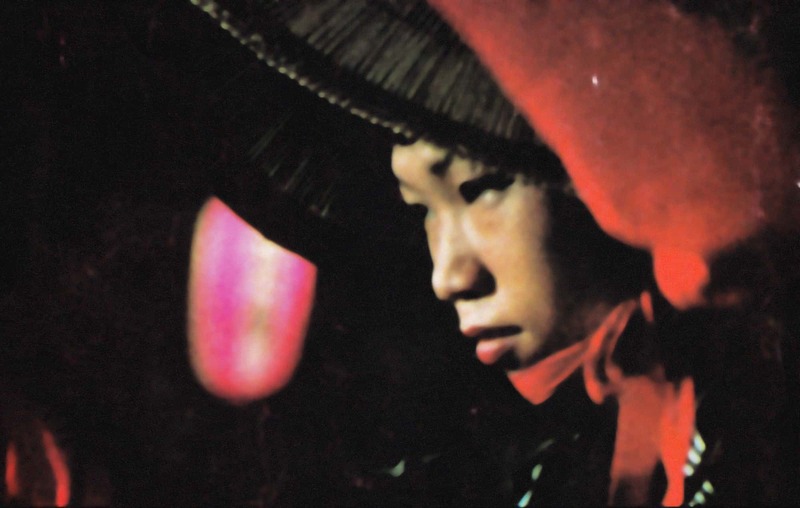 Okinawa, l’amour et l’ordinateur” [“LeveL Five, a film by Chris Marker. Okinawa, love and the computer,”] Le Monde diplomatique, February 1st, 1997. The commentary to this film was written by Chris Marker. In his autobiography Immemory (in CD-ROM format), Marker debuts the section “Mémoire” with portraits of Proust and Hitchcock, followed by this extract from Swann’s Way.